The higher the dollar amount of a specific transaction, the greater the risks involved. The risks and responsibility of fraud and chargebacks. extend to you as the merchant as well as to your processor & acquiring bank. Some industries process high tickets on regular basis. For example, government and business-to-business sales routinely have high ticket transactions. And many businesses selling to consumers also have high ticket items. For instance, jewelry, furniture, home appliances, collectibles, electronics, precious metals, and automobiles are all high ticket transactions. The value of these transactions requires added steps for security. Traditional credit cards are woefully ill equipped to handle such transfers. Credit cards security in the United States is considered by a number of experts to be the worst in the world. Retailers, banks and payment processors are all trying to pass the buck on the issue and the only clear winners are the fraudsters who attack vulnerable victims. Even the recent chip-and-pin transition (meant to make cards safer to use) in the US was an utter failure. Expats and foreign businesses have often complained about the lack of security features in America’s card infrastructure. Close to $3 billion was lost due to chargebacks and credit card fraud in the US in 2014. Card companies charge high rates for high ticket transactions due to the increased risk of security breaches, chargebacks, and fraud. Substantially increasing your cost of sales and your operating expenses. For these reasons, companies selling high ticket items are far better accepting payments through an echeck payment gateway. Electronic payments (such as echecks) are making business transactions faster, safer and cheaper. 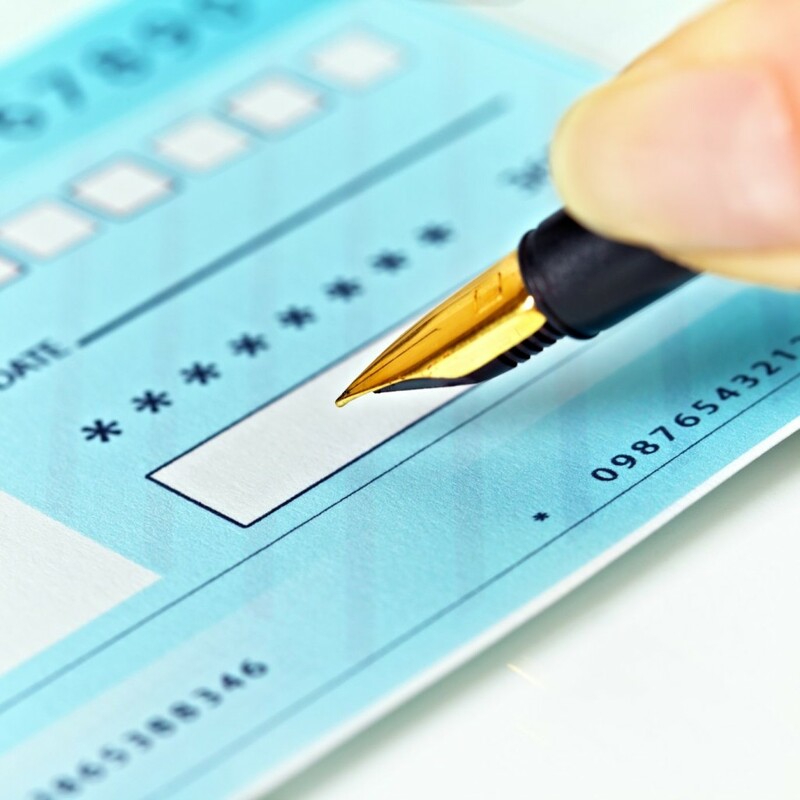 While the use of paper checks is on the decline, the use of electronic checks for payments is rapidly expanding. More than one-fifth of all transactions in the US are through echeck payment gateways, according to the Federal Reserve Bank. Echecks electronically deduct the amount of the payment from buyers' bank accounts. The funds are then automatically settled to sellers' bank accounts. Echecks are supported by a strong online security system. Payment processors who offer these echeck payment gateways to businesses can assist with collections, verify customer identification documents and even prevent fraud or chargebacks. Overall, electronic check processing is quite efficient since most of the processes are automated. By taking humans out of the equation, costs are lower and the service is less prone to errors. The electronic system allows businesses to receive funds faster and manage their invoices more effectively. Administrative costs are lowered. And rates for electronic check processing is always lower than card processing. Saving you money on processing expenses. Customers also like the convenience of paying through a bank account. A recent survey found that a vast majority of millennial renters would prefer paying their rent electronically, rather than with cards and physical checks. The convenience is a huge benefit for consumers. Traditional card processors tend to classify high tickets sellers as high-risk merchants. This compounds the problems for such merchants, as the risk of chargebacks prevents them from accepting card payments. As we’ve seen, card payments are not ideal for high ticket sales. Most merchants selling high ticket items encourage buyers to chose an echeck payment option to reduce expenses. And lower exposure to risk. For business-to-consumer purchases, high ticket sales can be revoked only within 40 days (for echeck payments) or 60 days (for ACH payments). Customers are also required to provide additional documentation and evidence to support a chargeback claim making it far more difficult to initiate an echeck chargeback than a card transaction. With a card transactions, consumers can chargeback up to 180 days after the purchase was made. And charging back is easy. Customers simply call their issuing bank to dispute a transactions. Most of the time, the issuing bank sides with the customer against the merchant. Lots of savvy shoppers know how to play & win the chargeback game, resulting in losses to you. For business-to-business sales, the revoke period for electronic check processing is only three days. Offering businesses much needed protection for commercial transactions. Echecks give you significantly benefits for high ticket processing compared to cards. With echeck and ACH merchant accounts, you can accept payment online, by phone, fax or mail, or batch upload to a secure site. Integration to a website is through an API. MOTO orders are processed through a virtual terminal. Batch transactions can also be submitted if preferred. The echeck payments gateway is fully compliant with all security regulations. Technical and operational support are available 24/7. And you have a dedicated account manager who provides you ongoing guidance and support. How are you handling payment processing for your high ticket sales?